HARARE – The ball is now firmly in President Emmerson Mnangagwa’s court to ensure that his mooted dialogue with opposition leader Nelson Chamisa and other key stakeholders kicks off soon, and in earnest — without allowing hardliners in Zanu PF to once again sabotage the process, analysts say. This comes as the international community yesterday joined hands with local groups in supporting calls for an all-inclusive national dialogue, which they said was the only option left on the table to save the country from imploding altogether following last week’s mayhem. In that chaos which rocked Zimbabwe — after soldiers enlisted to assist overwhelmed police used excessive force against protesters in Harare, Bulawayo and several other towns — at least 12 people died, while 78 others needed treatment for serious gunshot wounds. In addition, the government also subsequently launched a vicious crackdown against pro-democracy and opposition officials — earning the ire of the international community and religious leaders. 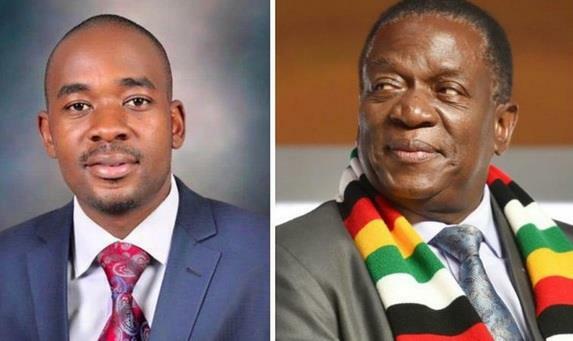 Speaking to the Daily News yesterday, political analysts said Zimbabwe had reached a stage where both Mnangagwa and Chamisa were not just compelled to talk to each other, but needed to be strong against hawks within their respective parties who had previously opposed the mooted dialogue. University of Zimbabwe political science lecturer Eldred Masunungure said Mnangagwa in particular, now needed to show leadership and finally make good on his promise to end the country’s myriad crises. “While it is difficult to read the mind of anyone, late alone that of a politician, but … one can give him (Mnangagwa) the benefit of the doubt. I think he is serious on the issue of talks. “The protests appear to have caught him by surprise and he panicked. And so, he is cornered. He has no choice but to talk. Opening the doors for negotiations may thus also be part of the regime’s survival strategy to retain power,” Masunungure said. “The implications of last week’s protests is that they could either strengthen or weaken the hand of the hardliners in both parties … even as the terrible state of affairs in the country cannot continue. “The other problem is that these protests can also erupt again and sweep everything aside, both the good and the bad … and only dialogue can stop that. “The leaders in both parties must thus exercise their veto powers over their hardliners and call for immediate dialogue,” Masunungure added. Rights lawyer and director for Southern Africa at Human Rights Watch Dewa Mavhinga said Mnangagwa was under the spotlight following his recent welcome call for dialogue — adding that the world “now expects action” from him. “It is up to ED to prove his sincerity about national dialogue. I am sure he knows that the military crackdown on activists last week puts his word in serious doubt. “It is unclear whether Zanu PF can be divided into hardliners and reformists because when horrific and horrendous human rights abuses are taking place, the so-called reformists in the party are always silent. “If Zanu PF has reformists who support human rights, they must speak out now and push for meaningful dialogue that includes all interested parties, including civil society, churches, labour and political parties,” Mavhinga told the Daily News. Mnangagwa’s move to reach out to Chamisa came as calls for national dialogue aimed at mitigating Zimbabwe’s myriad crises have reached a crescendo, following last week’s ugly disturbances, as well as the subsequent government crackdown against opposition officials and pro-democracy groups. Before the chaos, Chamisa had re-iterated his desire to open talks with the Zanu PF leader — whom he referred to as “my brother”, in a welcome move which signalled his abandonment of his once militant approach to talks. “I have met with many on our worsening situation and unbearable suffering. The back-to-school burden, high prices, non-performing economy, joblessness and worthless salaries bring sorrow. “On this, I call upon my bro(ther) ED to urgent dialogue to solve our politics and economics or it gets worse,” he said on Twitter. Insiders in Zanu PF and the MDC have also previously told the Daily News that hardliners in both parties were opposed to any dialogue as this threatened their political and economic interests. This view was bolstered by political analysts who said the hardliners within both parties were “rabidly against talks for self-preservation reasons”. Masunungure said a fortnight ago that there was “no doubt” that the stumbling block to the mooted dialogue between Mnangagwa and Chamisa were hawks within the two parties. “There are hardliners and soft-liners in the two parties. It dates back to the declaration by former president Robert Mugabe that he was supporting Chamisa on the eve of the (July 30) elections. “Before that, Zanu PF was interested in engaging Chamisa and the opposition, but that declaration hardened the view of hardliners in Zanu PF, particularly the military,” he said. “The hardliners in Zanu PF view Chamisa as someone who cannot be trusted. The MDC Alliance has also taken a hardline stance by rejecting the win by Mnangagwa, and as long as that view that Mnangagwa is illegitimate holds, there will not be dialogue. “These hardline positions are unrealistic and I don’t see the two parties engaging unless if all these issue are resolved … but that is what happens in a patronage system … people will protect their turf. “If you bring the MDC to government, some in Zanu PF could lose their positions, and so they undermine efforts between the MDC and Zanu PF to engage,” Masunungure added. Chamisa has been brawling with Mnangagwa ever since he narrowly lost the hotly-disputed July 30 presidential election — whose result he vigorously challenged at the Constitutional Court (Con-Court). But Mnangagwa’s victory was upheld by the Con-Court, which ruled that Chamisa had failed to provide evidence that he had won the election. In the meantime, Mnangagwa and his government are battling to turn around the country’s sickly economy. As a result, Zimbabwe is now in the throes of a mega economic crisis which has resulted in much suffering and anger among citizens who accuse the government of introducing a raft of measures which have further burdened them instead of alleviating their pain.